Long Beach Seafood Restaurant at Singapore is a pretty popular place for its menu. 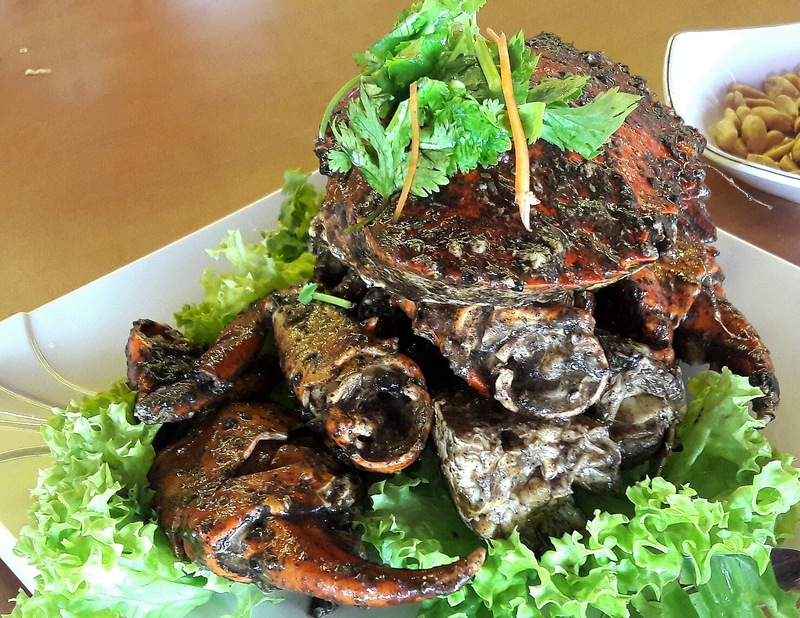 Its location is also fantastic - a spectacular view of the sea while you tuck into some really fresh fish. 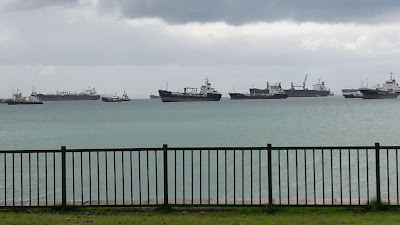 The restaurant has an air conditioned section on the first floor but on a cloudy weekend afternoon, there's nothing like sitting beside the lawn, sipping cold beer and watching ships and boats sail by. Huge tanks are lined up against one of the walls of the restaurant that hold Alaskan king crabs, lobsters, grouper and other fish and bivalves like geoducks. 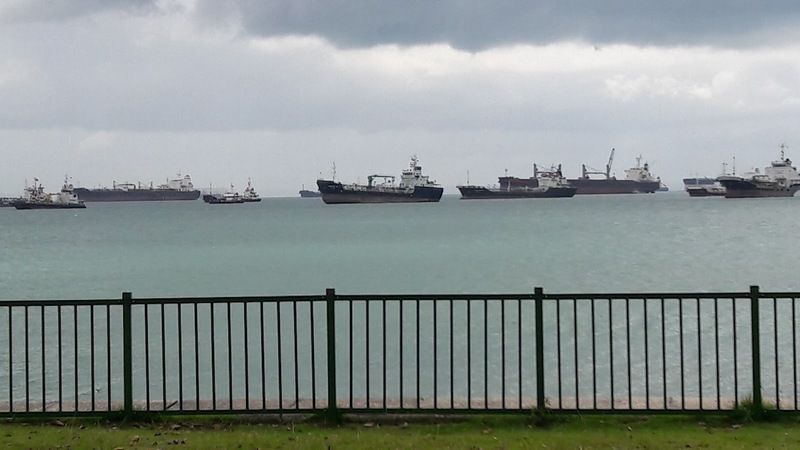 Most of the tank inhabitants are imported. Since it's just a few days before the lunar new year, we start with yusheng (prosperity toss), a salad that is made of several ingredients and each is symbolic of health, wealth, happiness and prosperity. 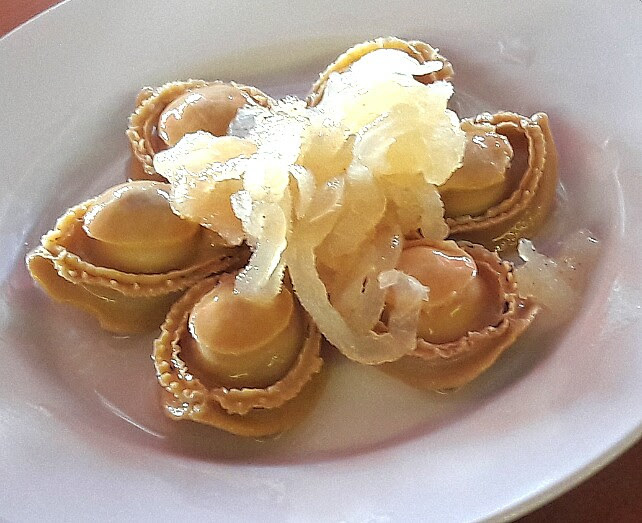 As he added the ingredients, our waiter explained the significance of each one. There's usually slices of raw fish but we had the abalone version. Lime juice is squeezed over it and placed over the shredded carrots and radish along with seasoning, oil, crushed peanuts, sesame seeds and crisps. Everyone at the table tosses together all the ingredients with chopsticks, the higher the better, all the while shouting out "lo hei"!! 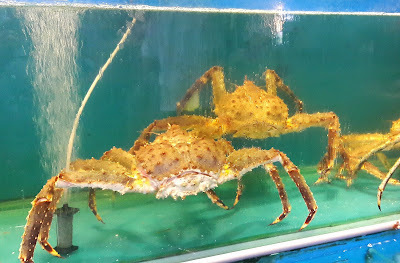 Long Beach is famous for its pepper crab. Our crab was a huge fellow, meaty and the pepper had infused the sweet flesh with warmth and an earthy flavour. So delicious. 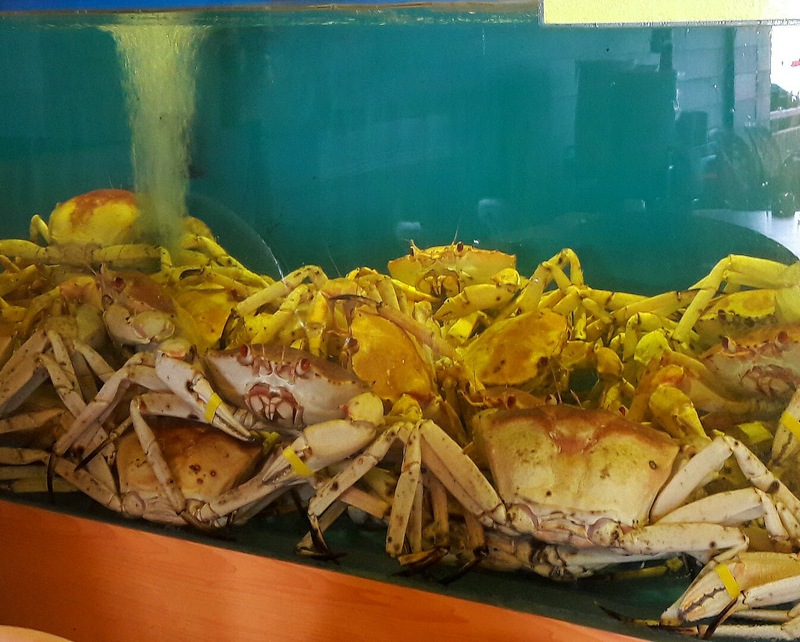 Eating crab is always a messy affair but our waiter offered to extract the meat for us and did a fantastic job. 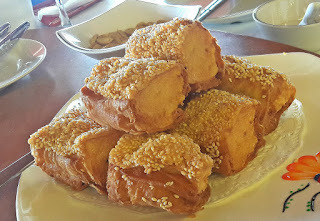 There was also youtiou (Chinese crullers) stuffed with squid paste, topped with sesame seeds and deep-fried (I've never had squid this tender). Served with mayo, this was another stand out dish. 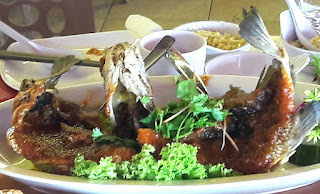 The fish dish was deep-fried red snapper Thai-style. Loved the kaffir lime leaf-infused curry paste, a perfect foil for the crisp fish that was so moist inside. 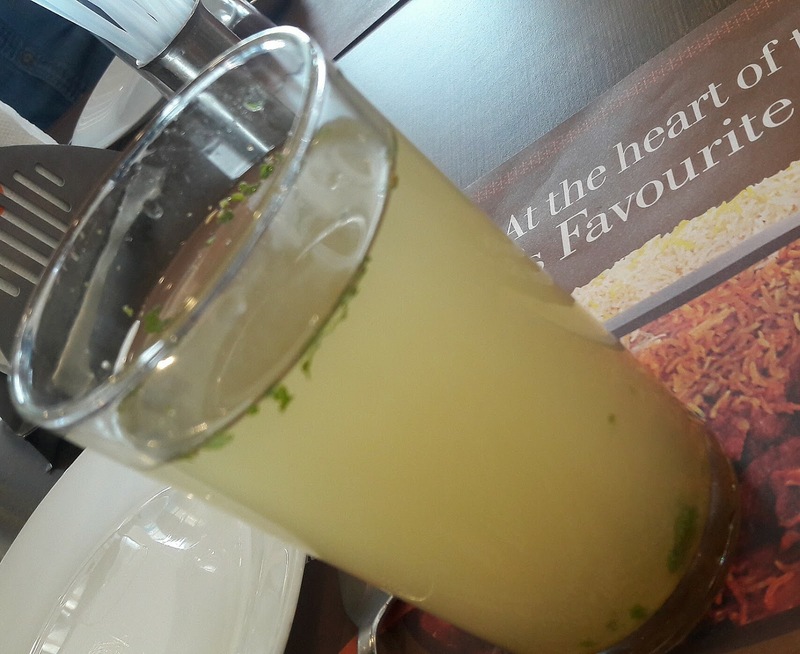 The squeeze of lime juice over the top added much needed acidity and heightened every other flavour. 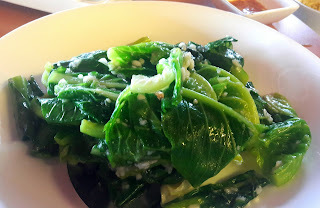 To end the meal, we had fried rice and kailan with garlic sauce. The greens were cooked just enough to retain their crunchiness and colour; the flavour of garlic was mild and lent a lovely fragrance to the greens. A perfect match for the rice. Talk of Hyderabad style of biryani and Paradise is usually mentioned in the same sentence. 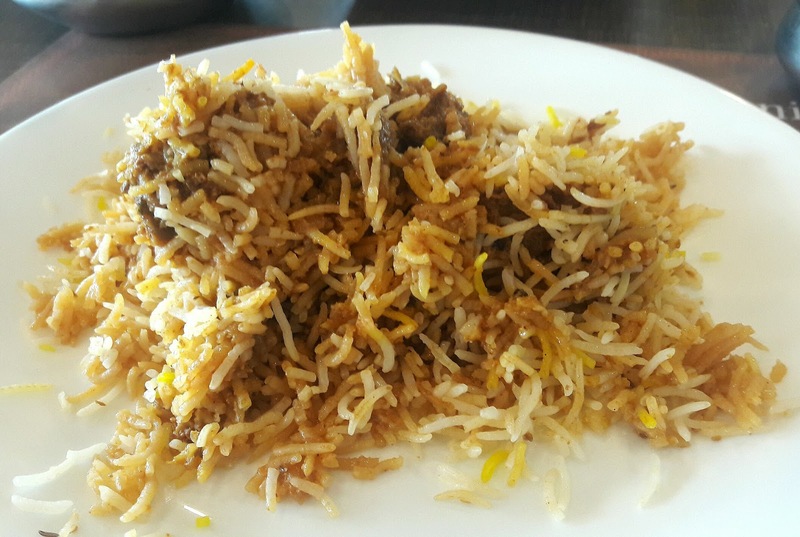 Biryani from Paradise travels not just around the city of Hyderabad but also out of the state - many travellers do a takeaway when leaving the city. 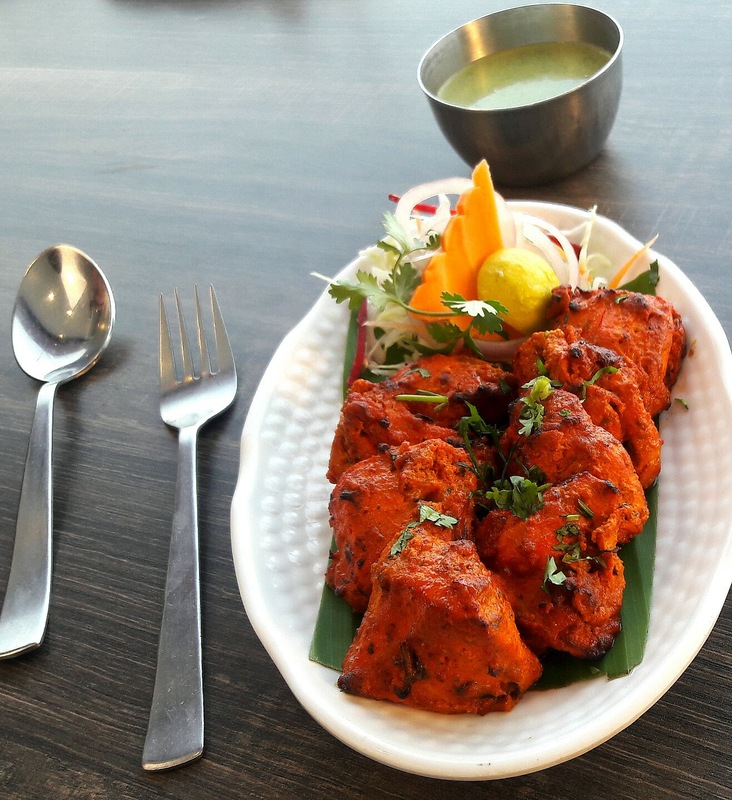 When Facebook food groups at Chennai announced the opening of a branch of Paradise in the city, almost the whole city made a beeline to Perungudi where is restaurant is located. And then there were posts warning potential diners about the queues they would have to stand in just to enter the restaurant. And then it happened - a group of us bloggers were invited to review the menu. Well, for me, that was infinitely better than having to brave serpentine queues and hungry crowds. I reached the restaurant to find no crowds, in fact, the only soul I saw was a chap who ushered me into the lift and told me to go to the dining room on the 3rd floor. So what's on the other two? Another dining area on the first and the kitchen on the second. Before we could get to the food, there was a PP presentation on the making of a pot of Paradise biryani. 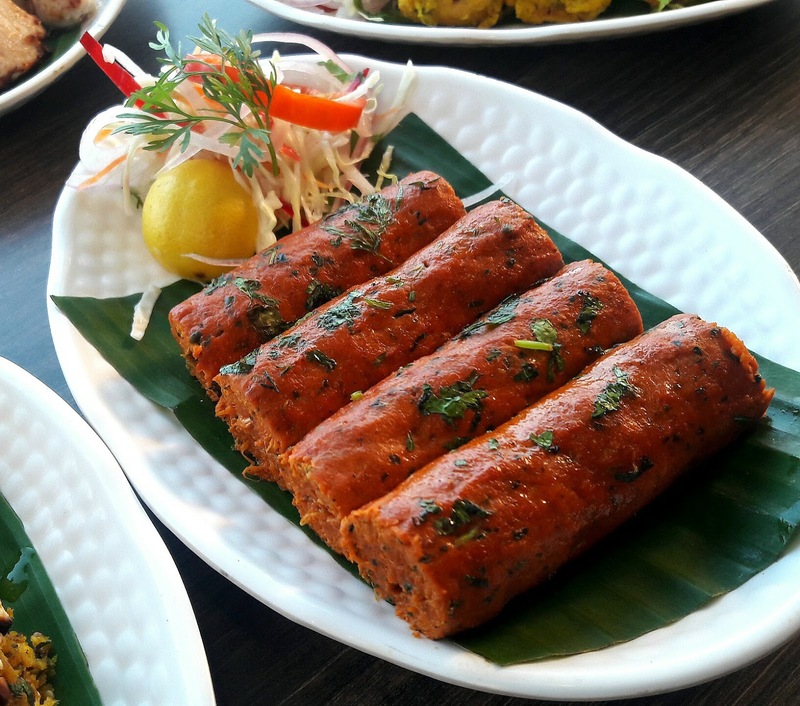 In a recipe that has not changed over the years, chunks of lamb are marinated in a mix of spices and other ingredients. It is then placed inside a handi. Long-grained rice in 3 stages of "doneness" is ladled over, saffron-infused milk is drizzled on top and the lid is placed over, sealed with a wheat flour paste and cooked for just the right amount of time. Finally it is opened. 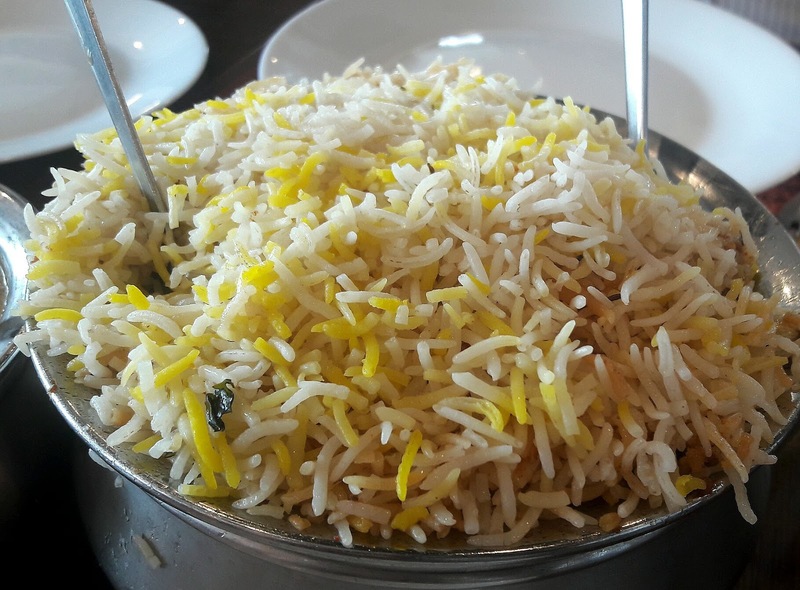 Fragrance wafts out, the aroma of the meat, spices and the sight of perfectly cooked rice and saffron streaks - that's how Hyderabad-style kachha biryani should look and smell like. The vegetable seekh, subz aur moongphalli seekh, needs special mention. 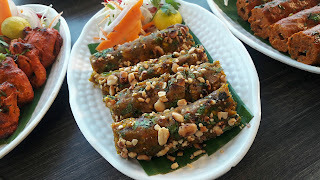 Crusted with roasted peanuts, it was soft yet crunchy and absolutely delectable. 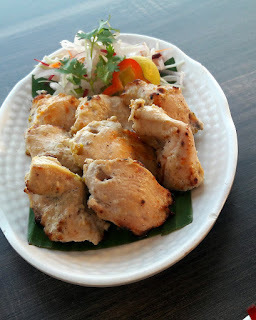 Reshmi kebab, made with tender chunks of chicken was another crowd-pleaser. 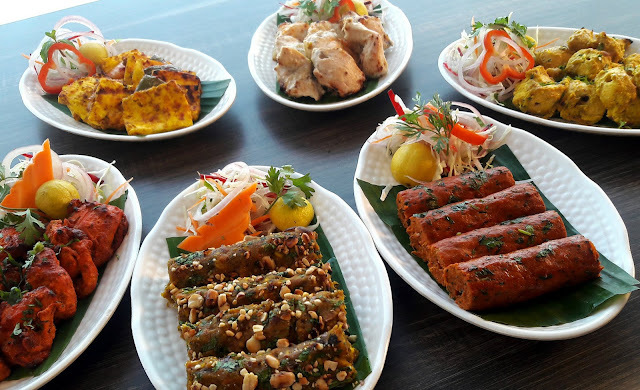 Both paneer tikkas, paneer achari and paneer tikka were a tad sour, while the meat of the red seekh kebab had been minced fine and was moist. They do have a fish tikka as well but made with basa. 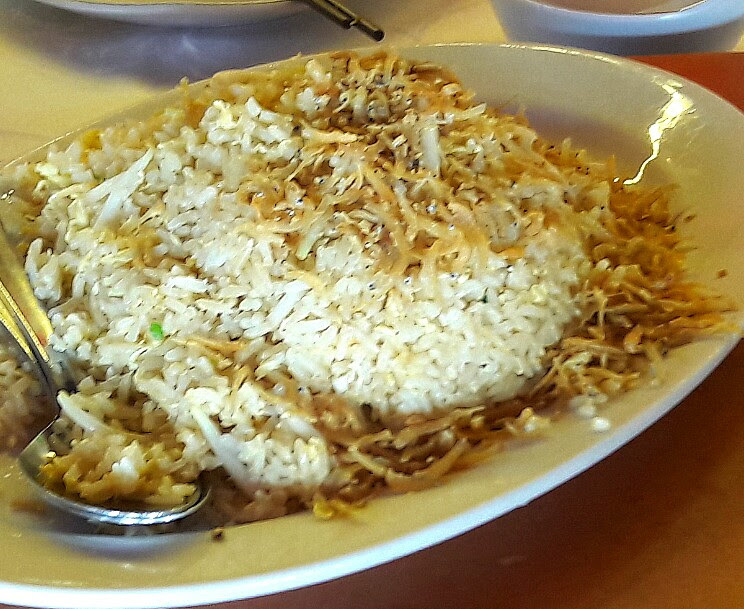 We tried the vegetable, chicken and mutton biryani. This is where Paradise comes into its own. All 3 versions had superbly cooked rice. While the veg version with mixed vegetables was quite ordinary, the lamb biryani was outstanding - tender pieces of lamb surrounded by the thick masala that added a delicious moistness to the long grained rice. The chicken biryani was equally good and I preferred that as the flavour of cardamom was not as pronounced as that in the lamb. 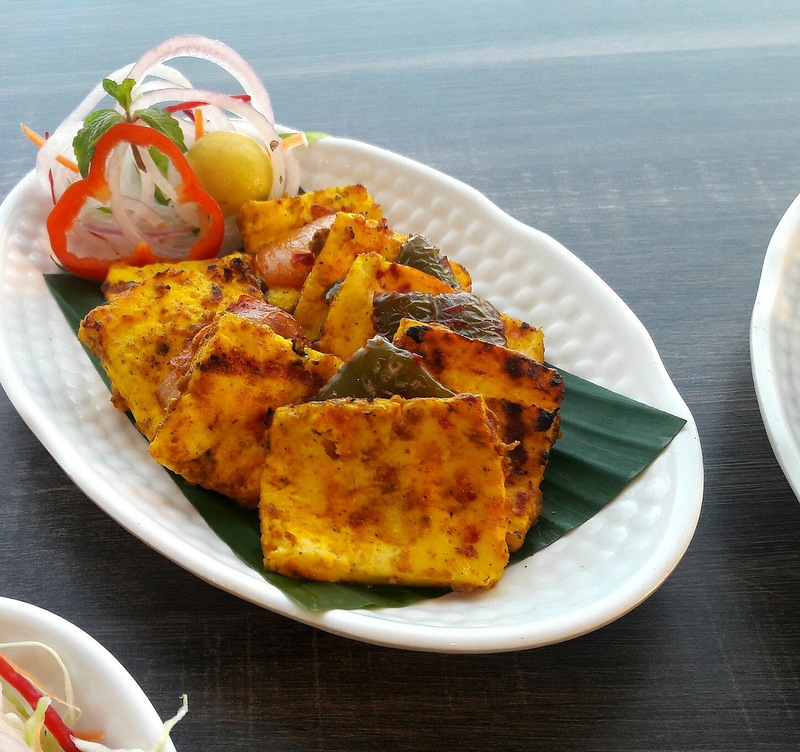 Accompaniments were mirchi salan made with the big light green chillies used for bajjis. 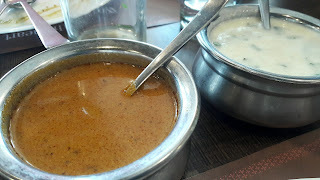 The gravy was thin and it wasn't as good as the versions that Hyderabad restaurants serve. As for the raita, it was a thin liquid but quite pleasant and went well with the biryanis. 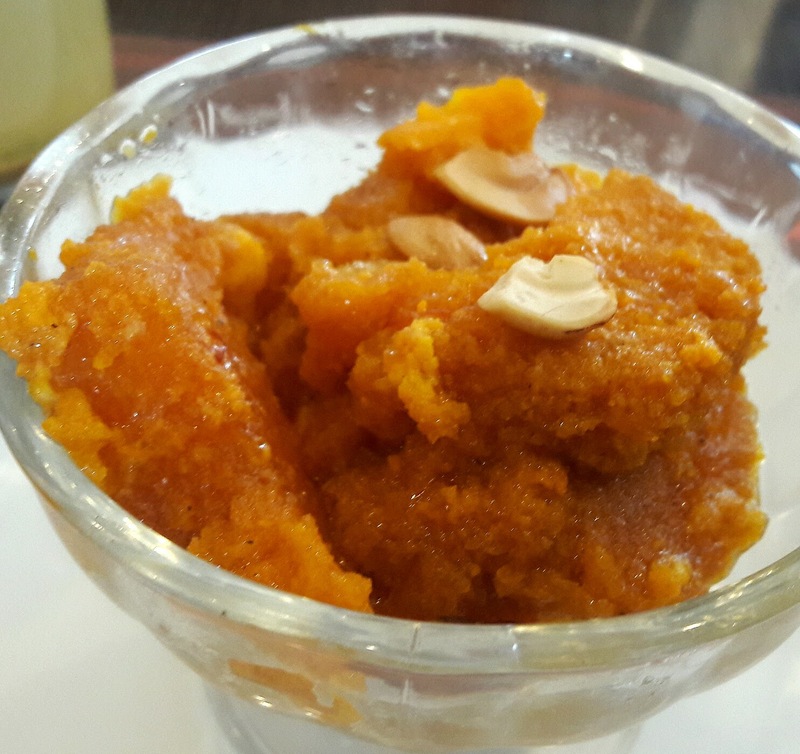 Dessert was double ka meetha. The vivid orange colour was a little scary, was rather too sweet but tasted nice. Crisp cashewnuts over the top provided texture. The building Paradise is located in looks huge from the outside but it's compact inside. One half of it houses the takeaway section. On the walls are posters of how Paradise biryani came to be. 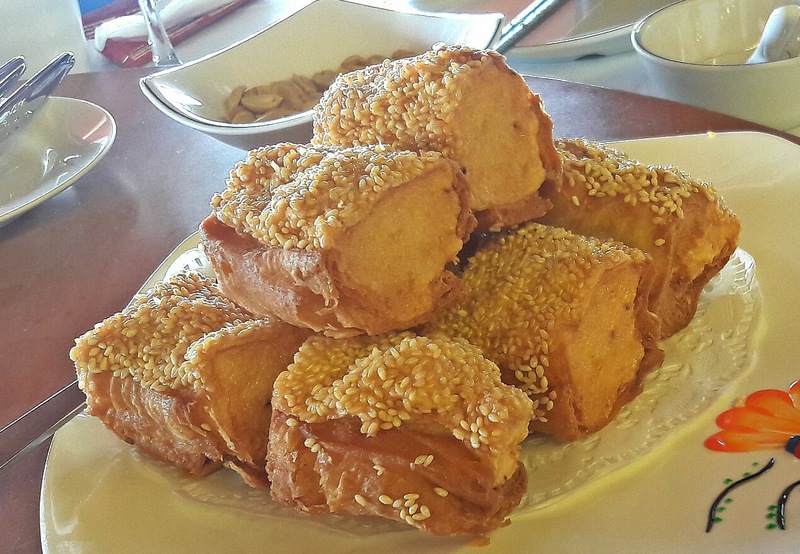 A quick glance through the menu revealed a few Chinese dishes as well. 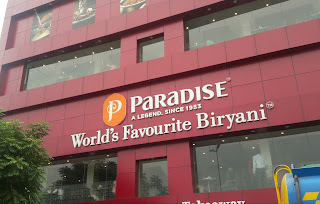 Paradise's USP is biryani and that's that. 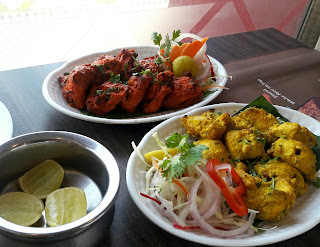 A meal for 2 consisting of biryani and starters would cost around 700/++. They do not encourage phone bookings.